Rebecca Ann Farish died on 12 November 1946 at Morrilton, Arkansas. She was born on 12 November 1946 at Morrilton, Arkansas. She was the daughter of James Norton Farish and Loleta Faye Jones. Reverand Raymond Poley Poteete married Alice Marie Jones, daughter of Reverand George Elliott Jones and Loleta Faye Crotchett, on 19 August 1945 at at the home of her father, Morrilton, Arkansas. Reverand Raymond Poley Poteete died in 1987. Married Name circa 1991 As of circa 1991,her married name was Findlay. Alice Ruth Poteete was born on 18 January 1947 at Waldo, Arkansas. She was the daughter of Reverand Raymond Poley Poteete and Alice Marie Jones. Alice Ruth Poteete died on 2 February 2008 at age 61 Alice Ruth Poteete Findlay, 61, of Baytown, Texas, died Saturday, Feb. 2, 2008, after a long battle with cancer. She was born Jan. 18, 1947, in Waldo to Raymond P. Poteete and Alice Marie (Jones) Poteete. She was a 1965 graduate of Jonesboro High School and later graduated from Central Baptist College in Conway in 1967. Survivors include her husband of 17 years, David L. Findlay; sons, Chad Elliott Harvey and David Findlay Jr., both of Baytown; daughters, Melinda Anne Brown and Deana Ball, both of Baytown; mother, Alice Poteete of Walnut Ridge; and eight grandchildren. A memorial service was held Tuesday evening at Carter Funeral Chapel with Pastor Cecil Hudson officiating. Raymond Lloyd Poteete was born on 3 August 1951 at Waldo, Arkansas. He was the son of Reverand Raymond Poley Poteete and Alice Marie Jones. Raymond Lloyd Poteete died before 2013. Ruben Ray Whitley died before 2013. Married Name circa 1922 As of circa 1922,her married name was Crotchett. Ruby Stiyrne was born in 1903. She married Earle Crotchett, son of Alonzo Crotchett and Missouri Johnsten, circa 1922 at North Little Rock, Arkansas. Ruby Stiyrne and Earle Crotchett lived between 1926 and 1931 at Little Rock, Pulaski, Arkansas. Name Variation Eunice E. Fuller was also known as Eunice B. Married Name 28 July 1934 As of 28 July 1934,her married name was Crotchett. Eunice E. Fuller was born circa 1907 at Louisiana. She married Earle Crotchett, son of Alonzo Crotchett and Missouri Johnsten, on 28 July 1934 at Garland, Arkansas. Married Name circa 1942 As of circa 1942,her married name was Crotchett. Married Name after 1948 As of after 1948,her married name was Economopoulos. Evelyn Jean Anderson was born in 1922. She married Earle Crotchett, son of Alonzo Crotchett and Missouri Johnsten, circa 1942. Evelyn Jean Anderson and Earle Crotchett were divorced circa 1948. Evelyn Jean Anderson married Harry Economopoulos after 1948. Evelyn Jean Anderson died on 8 August 2001 Evelyn J. "Econ" (Anderson) Economopoulos, 78, of Amherst, New Hampshire, formerly of Nashua, New Hampshire, owner and operator, with her husband, of the Hobbie Horse Nursery-Kindergarten School in Nashua for 42 years, died at Harborside Healthcare in Milford, New Hampshire, on Wed, Aug 8, 2001. Visitation is scheduled for Monday, Aug 13, 2001, 1-2 p.m., at Zis-Sweeney Funeral Home, 26 Kinsley Street, Nashua. Funeral services are scheduled for Monday, 2 p.m., at the funeral home. Burial will be at Woodlawn Cemetery, Nashua. Memorial donations are appreciated to Harborside Healthcare Center, 71 Elm Street, Milford, NH 03055. Arrangements entrusted to Zis-Sweeney Funeral Home, Nashua, NH. She was buried after 8 August 2001 at Woodlawn Cemetery, Nashua, Hillsborough, New Hampshire. Married Name Her married name was Asselin. Name Variation Debra Crotchett was also known as Economopoulos surname of step-father. Debra Crotchett married (?) Asselin. Debra Crotchett was born on 21 June 1947 at Memphis, Tennessee. She was the daughter of Earle Crotchett and Evelyn Jean Anderson. Debra Crotchett died in 1978. Name Variation Alta Faye Tilley was also known as Altyfay. Married Name 18 May 1929 As of 18 May 1929,her married name was Crotchett. Married Name 4 December 1947 As of 4 December 1947,her married name was Miller. Alta Faye Tilley was born in 1909 at Arkansas. She was the daughter of W. L. Tilley and Lillie M. (?). Alta Faye Tilley married Dale R. Crotchett, son of Alonzo Crotchett and Missouri Johnsten, on 18 May 1929 at North Little Rock, Pulaski, Arkansas. Alta Faye Tilley married Frank Miller on 4 December 1947 at Saline, Arkansas. Alta Faye Tilley died in February 1989. She was buried in February 1989 at Edgewood Cemetery, Pulaski, Arkansas. Alta Faye Tilley had zero children. [S244] U.S. Federal Census 1910 U.S. Federal Census, by Ancestry.com, ED159. Dwelling 434. Barney Harris Durham was born on 21 January 1906 at Arkansas. He was the son of (?) Durham and Martha (?). Barney Harris Durham married Hattie Juanita Crotchett, daughter of Alonzo Crotchett and Missouri Johnsten, on 17 June 1925 at Morrilton, Arkansas. Barney Harris Durham died on 31 May 1962 at age 56. He was buried after 31 May 1962 at Plumerville Cemetery, Plumerville, Conway, Arkansas. 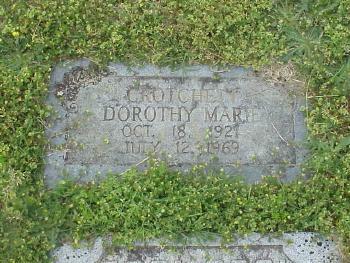 Married Name 1 May 1930 As of 1 May 1930,her married name was Crotchett. Mildred Irene Tamm was born circa 1913 at Pennsylvania. She married Lloyd Crotchett, son of Alonzo Crotchett and Missouri Johnsten, on 1 May 1930 at Philadelphia, Pennsylvania. 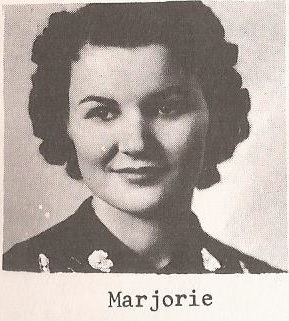 Name Variation Dorothy Marie Maynor was also known as Manor. 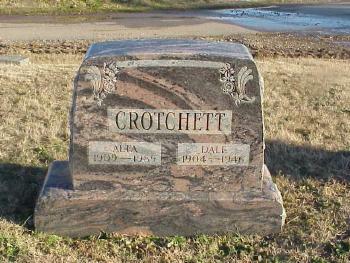 Married Name 2 November 1946 As of 2 November 1946,her married name was Crotchett. Dorothy Marie Maynor was born on 18 October 1921 at Water Valley, Yalobusha, Mississippi. She married Lloyd Crotchett, son of Alonzo Crotchett and Missouri Johnsten, on 2 November 1946. Dorothy Marie Maynor died on 12 July 1969 at Little Rock, Pulaski, Arkansas, at age 47. She was buried after 12 July 1969 at Edgewood Memorial Park, North Little Rock, Pulaski, Arkansas. Name Variation Charles Elmore Jenkins was also known as Charlie. Charles Elmore Jenkins was born on 18 August 1876 at Kansas. He married Anna Missouri Smith, daughter of James Edward Smith and Mary Elizabeth Crotchett, on 23 December 1903 at at the home of her parents, near Hartford, Lyon, Kansas. Charles Elmore Jenkins died on 12 January 1949 at Lyon, Kansas, at age 72. Married Name 24 March 1915 As of 24 March 1915,her married name was Smith. Alice Jane Todd was born on 1 December 1881 at Kansas. She married Roy Lynn Smith, son of James Edward Smith and Mary Elizabeth Crotchett, on 24 March 1915 at Gridley, Coffey, Kansas. Alice Jane Todd died on 23 May 1978 at Lena Valley, Lyon, Kansas, at age 96. Alice Jane Todd had zero children. [S250] U.S. Federal Census 1930 U.S. Federal Census, by Ancestry.com, ED56-10. Dwelling 43. Name Variation William Lewis Nichols was also known as Will. William Lewis Nichols was born on 31 March 1884 at County Line Farm, Lyon, Kansas. He married Amy Smith, daughter of James Edward Smith and Mary Elizabeth Crotchett, on 15 February 1907 at Madison, Greenwood, Kansas, also reported as 13 Feb 1907. William Lewis Nichols died on 23 August 1917 at County Line Farm, Lyon, Kansas, at age 33 died of heat stroke hauling water to cattle. Lois Louella Elizabeth Nichols was born on 28 February 1908 at Hartford, Lyon, Kansas. She was the daughter of William Lewis Nichols and Amy Smith. Lois Louella Elizabeth Nichols died on 14 August 1908. William Lloyd Nichols Sr. was born on 13 August 1913 at County Line Farm, Hartford, Lyon, Kansas. He was the son of William Lewis Nichols and Amy Smith. William Lloyd Nichols Sr. married Vivian Letitia Muir on 28 November 1937 at at her mother's home, Muir Farm, Hartford, Lyon, Kansas, by Rev. Russell G. Fosmire. William Lloyd Nichols Sr. died on 10 March 1989 at Wichita, Sedgwick, Kansas, at age 75. [S250] U.S. Federal Census 1930 U.S. Federal Census, by Ancestry.com, ED56-10. Dwelling 34. Name Variation Anna Alice LaVern Nichols was also known as LaVern. Married Name 24 October 1937 As of 24 October 1937,her married name was Martin. Married Name 1 January 1950 As of 1 January 1950,her married name was Hulett. Anna Alice LaVern Nichols was born on 14 November 1916 at Hartford, Lyon, Kansas. Fred C. Smith was born circa 1882 at Kansas. He married Amy Smith, daughter of James Edward Smith and Mary Elizabeth Crotchett, on 8 December 1928 at Hartford, Lyon, Kansas. Irvan Thomas Smith was born on 19 June 1934 at Hartford, Lyon, Kansas. He was the son of Fred C. Smith and Amy Smith. Irvan Thomas Smith died on 21 June 1934. Married Name 28 November 1937 As of 28 November 1937,her married name was Nichols. Vivian Letitia Muir was born on 22 October 1913 at Muir Farm, Lyon, Kansas. She married William Lloyd Nichols Sr., son of William Lewis Nichols and Amy Smith, on 28 November 1937 at at her mother's home, Muir Farm, Hartford, Lyon, Kansas, by Rev. Russell G. Fosmire. Vivian Letitia Muir died on 7 March 2000 at Wichita, Sedgwick, Kansas, at age 86. Alvin Alan Skinner was born on 21 December 1898. He married Myrle Amanda Bell, daughter of Wardie Elmer Bell and Josie Angeline McHone, on 7 September 1923 at El Dorado, Kansas. Alvin Alan Skinner died in April 1964 at age 65. Marvin Truman Blankenship married Mabel Emeline Bell, daughter of Wardie Elmer Bell and Josie Angeline McHone, on 3 September 1925 at El Dorado, Kansas. Anna Myrtle King was born circa 1888 at Kansas. She married Walter Amos Bell, son of John Willis Bell and Emeline Charlotte Crotchett, circa 1912 at El Dorado, Kansas. [S243] U.S. Federal Census 1920 U.S. Federal Census, by Ancestry.com, ED9. Dwelling 75. Married Name 26 February 1951 As of 26 February 1951,her married name was Jacobs. Erma Jean Bell was born on 26 February 1913 at Rosalia, Kansas. She was the daughter of Walter Amos Bell and Anna Myrtle King. 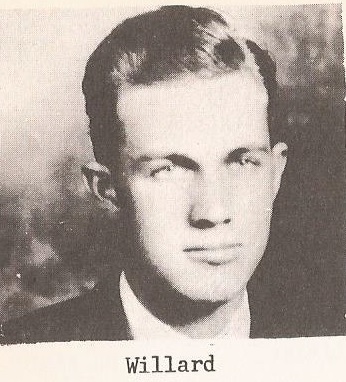 Willard King Bell was born on 28 May 1915 at Rosalia, Kansas. He was the son of Walter Amos Bell and Anna Myrtle King. Willard King Bell died on 3 December 1939 at age 24. Ralph Elliot Bell was born on 14 July 1918 at Rosalia, Kansas. Morrilton, Genealogy Crotchett --- Tanner, pg 89. Married Name 2 August 1940 As of 2 August 1940,her married name was Liggett. Marjorie Avis Bell was born on 7 December 1921 at Rosalia, Kansas. Name Variation Anna Mae Diffendal was also known as May Anna. Married Name 16 December 1914 As of 16 December 1914,her married name was Bell. Anna Mae Diffendal was born circa 1890 at Kansas. She married George Riley Bell, son of John Willis Bell and Emeline Charlotte Crotchett, on 16 December 1914 at El Dorado, Kansas.